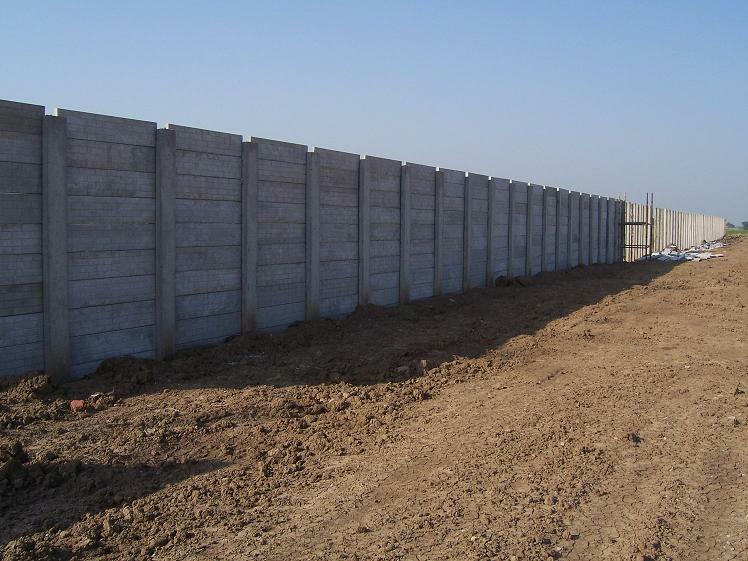 Our Precast Concrete Boundary walls are made from posts erected directly into the ground which have grooves to accommodate textured panels. 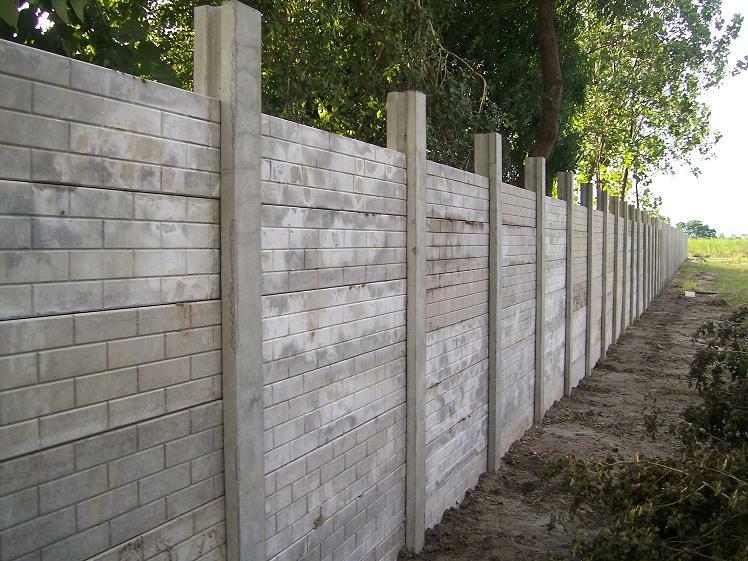 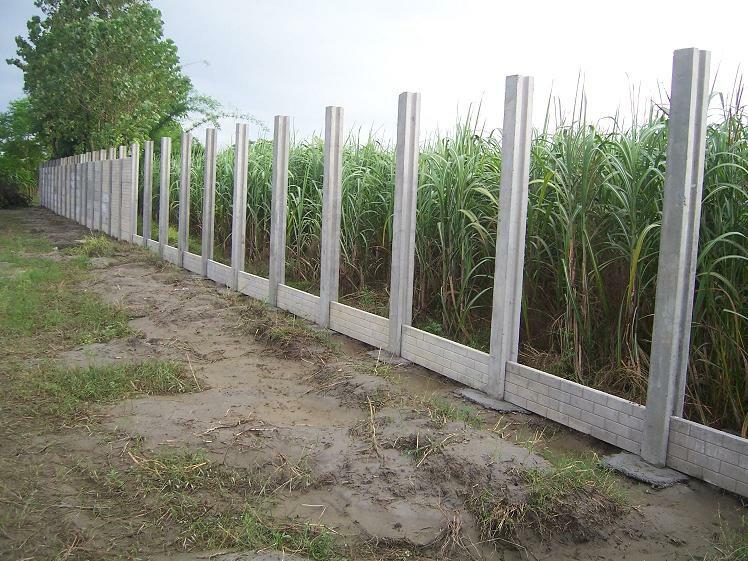 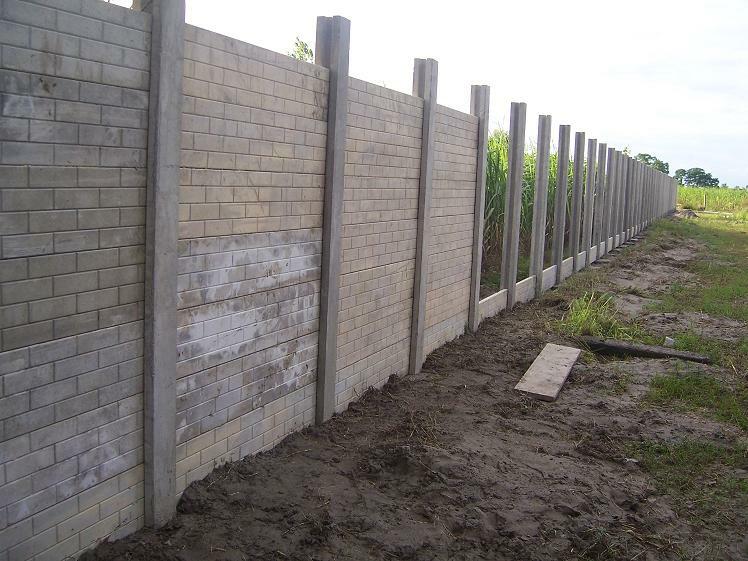 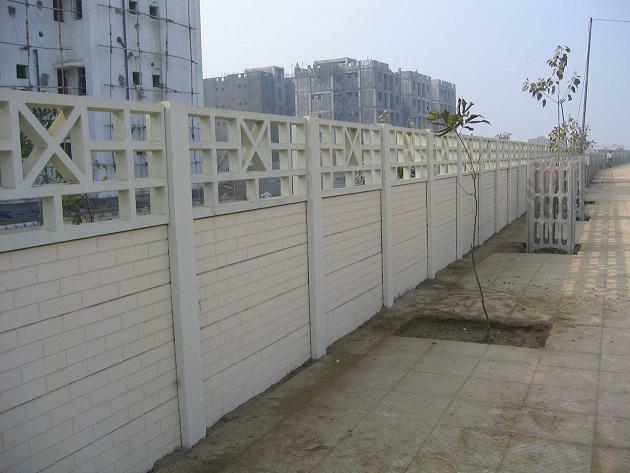 We currently offer boundary wall systems of 6 feet and 8 feet height. 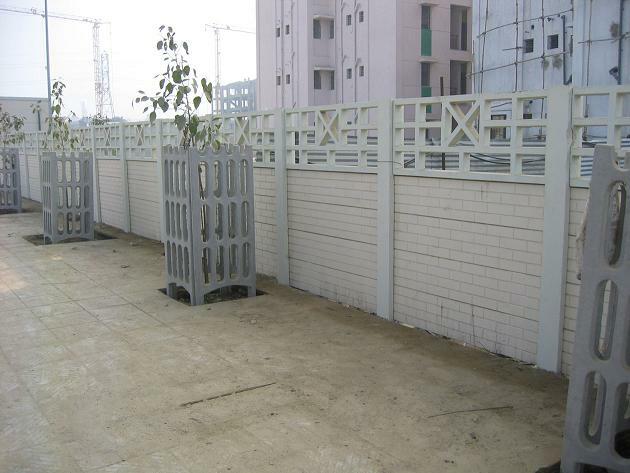 The textured panels are available in two varieties. 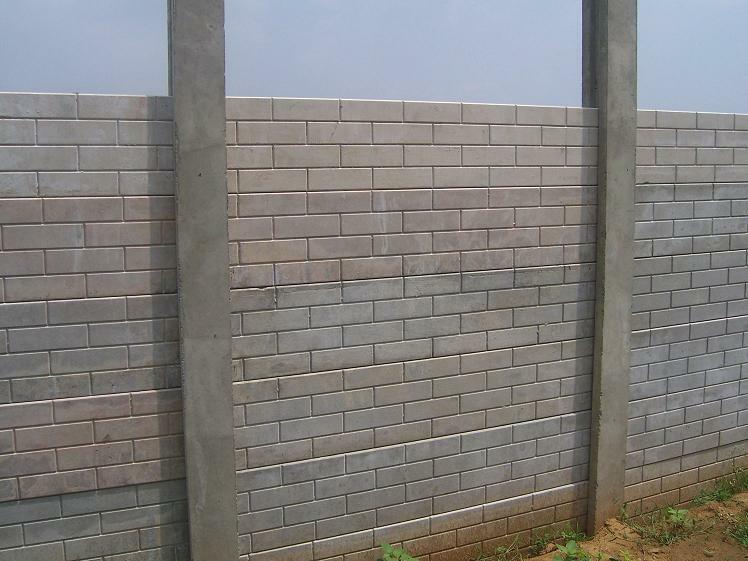 Our brick finish textured panels closely resemble real bricks and create a classic ambience. 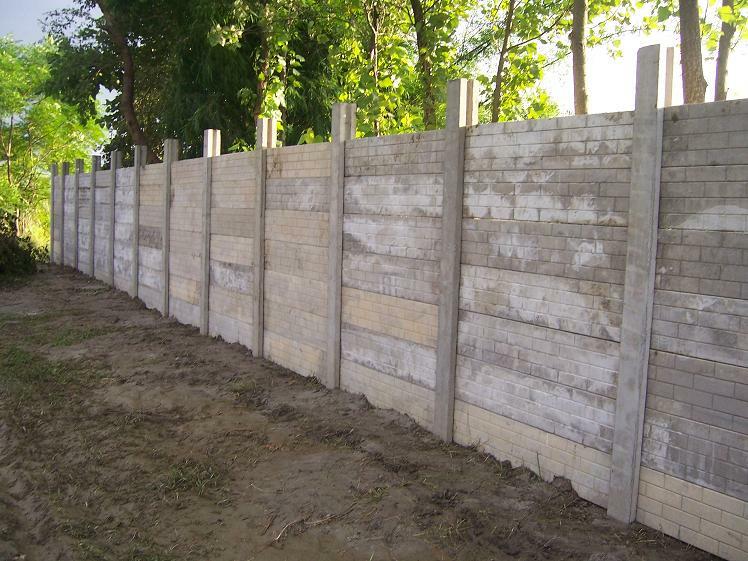 Our wood finish textured panels provide the visual impact of crafted wood and the longevity of concrete. 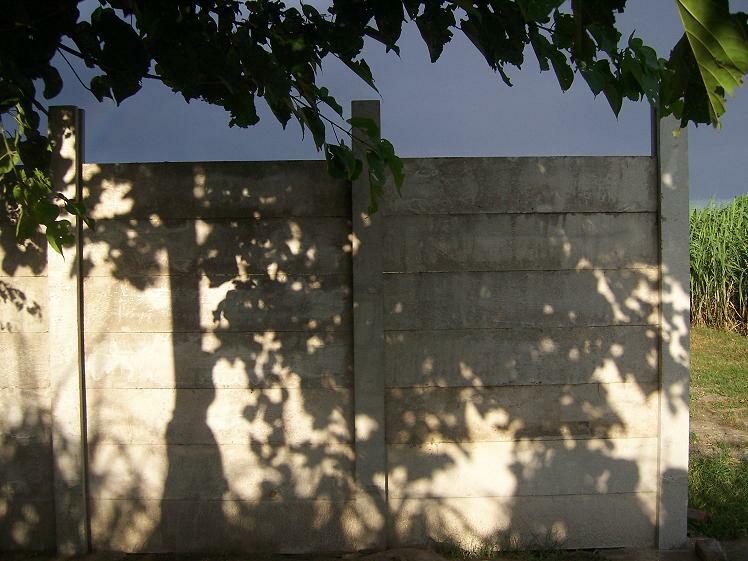 The wood textured panels feature the familar patterns characteristic of wood grains. 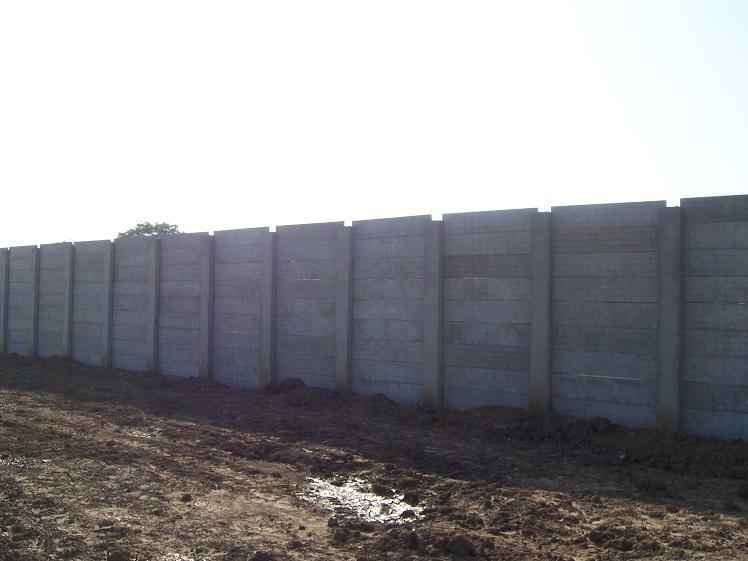 Our Precast Concrete Boundary Wall system is ideal for residential, commericial, and industrial developments. 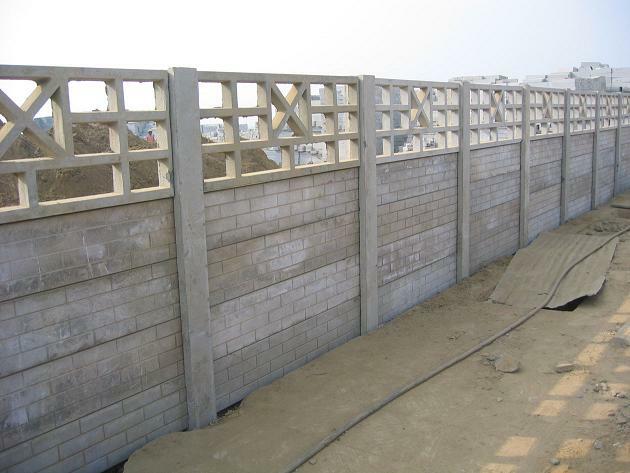 Dec 2011-Mar 2012:We are currently supplying 6 ft high boundary wall system with a custom grill at the top to a leading contractor working on a project in Delhi. 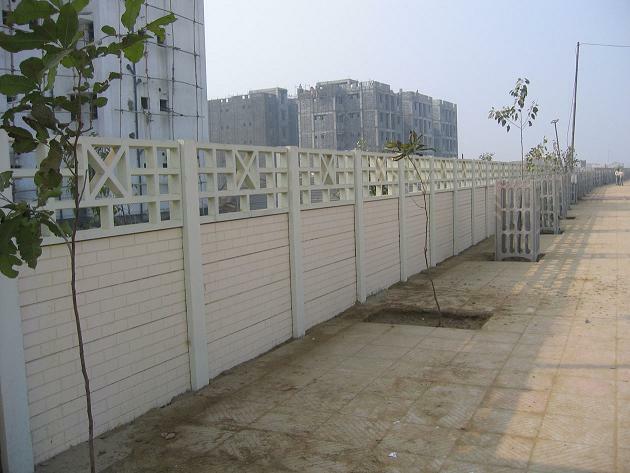 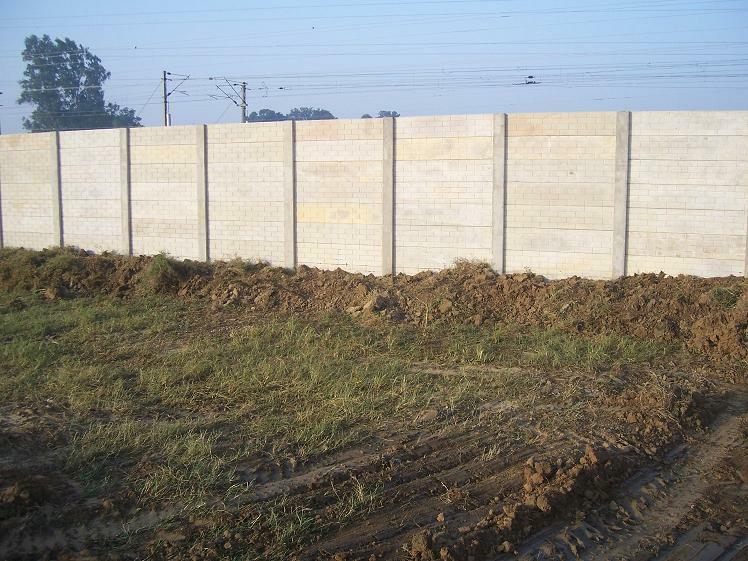 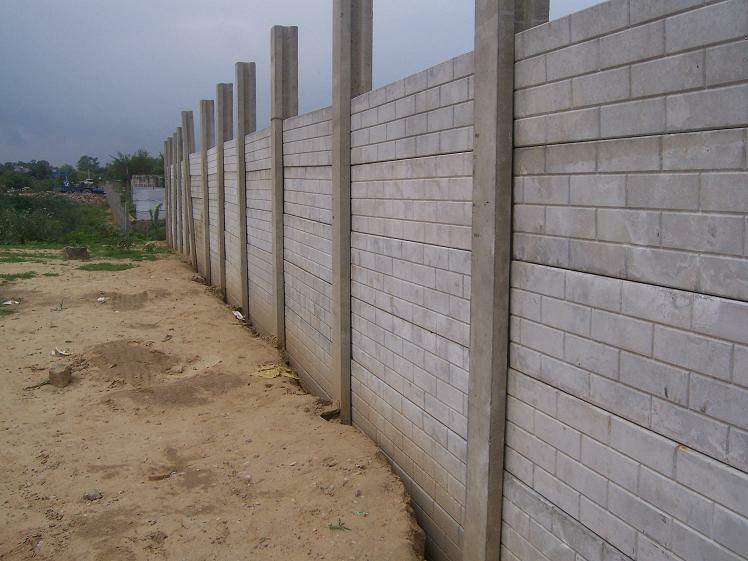 Aug-Dec 2011:We supplied custom brick finish panels of thickness of 50 and 70 mm for construction of 1.5 kms long boundary wall in Gurgaon. 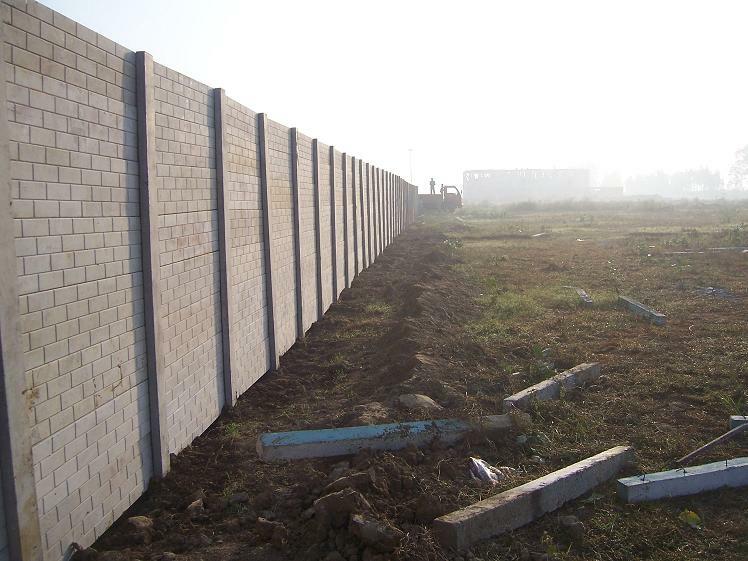 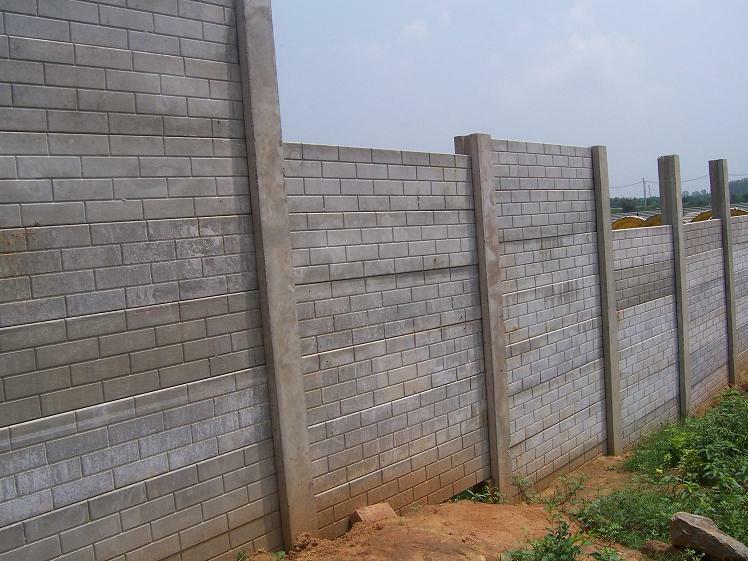 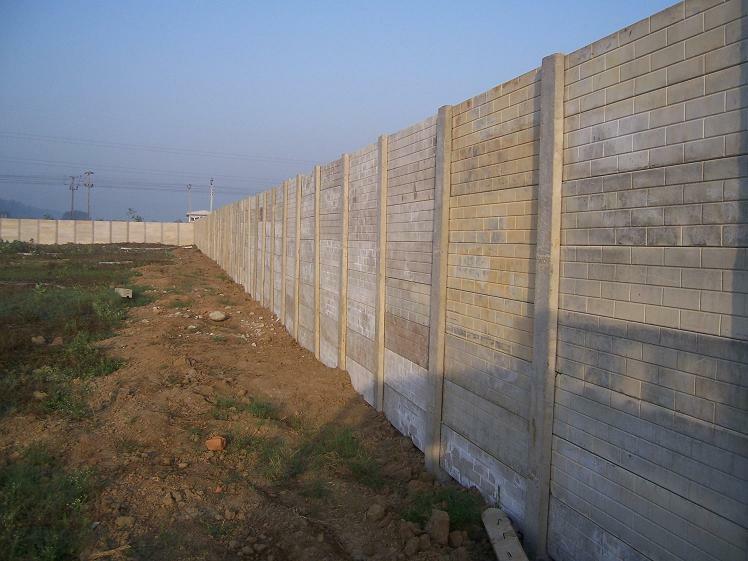 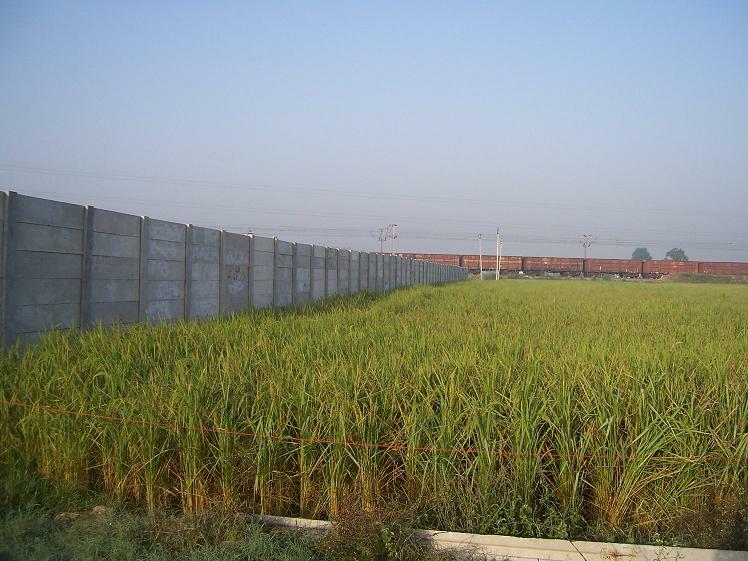 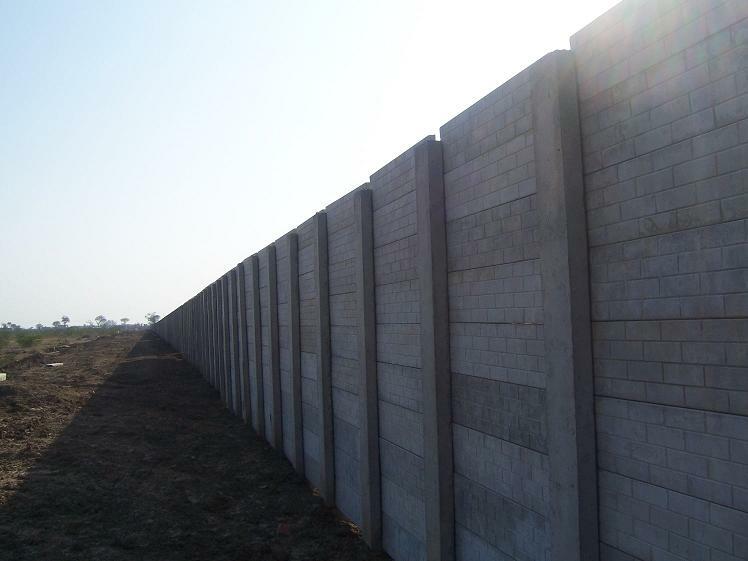 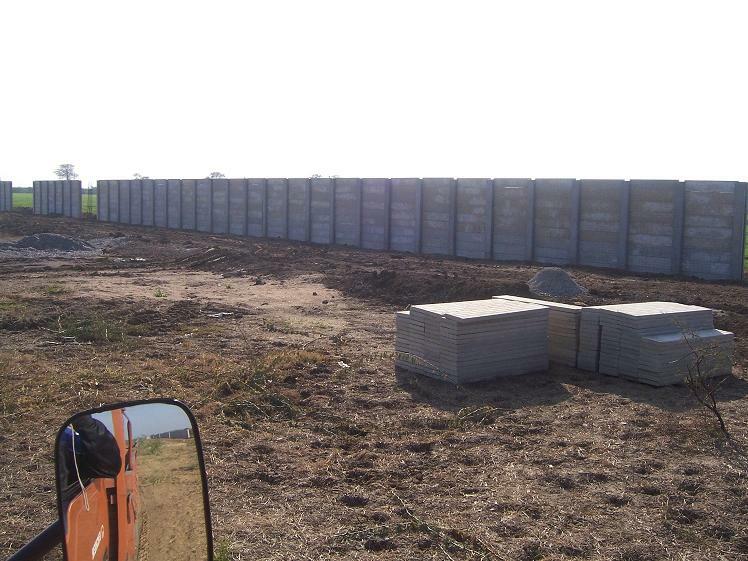 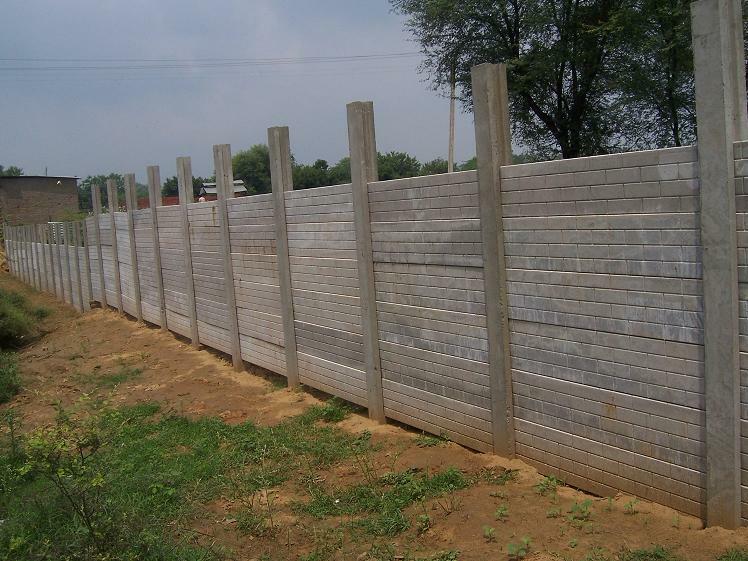 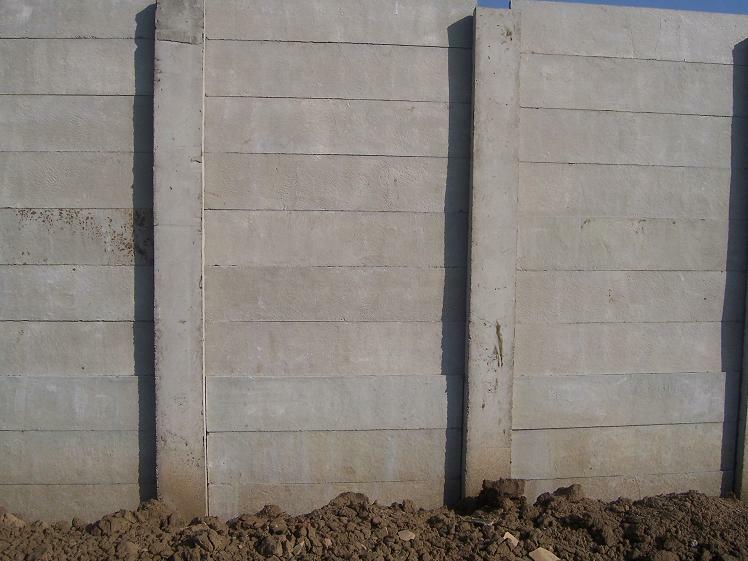 Nov-Dec 2010:We completed a repeat order from Canton Buildwell Pvt Ltd to supply precast components for an additional 300 running meter boundary wall for their site located in Gurgaon. 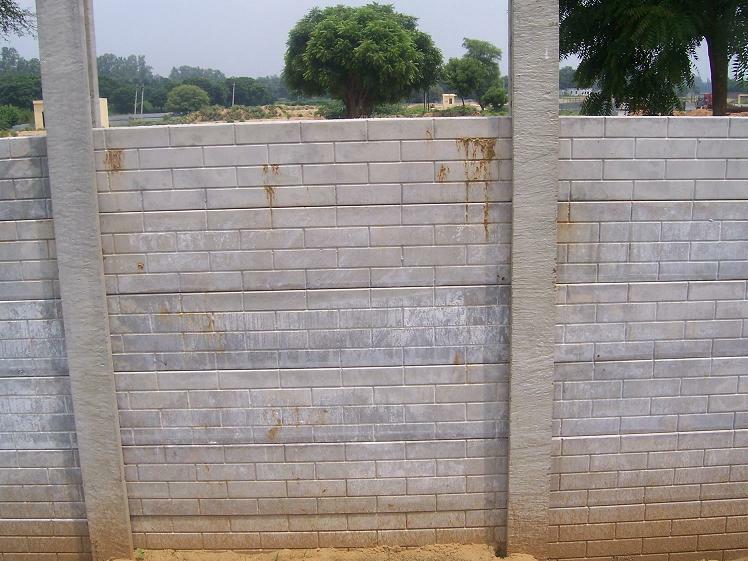 Nov-Dec 2010:We supplied precast components for construction of 600 running meter boundary wall of 8 ft above ground height and 40 mm slab thickness for Jain International School at their site located in Amethi, U.P. 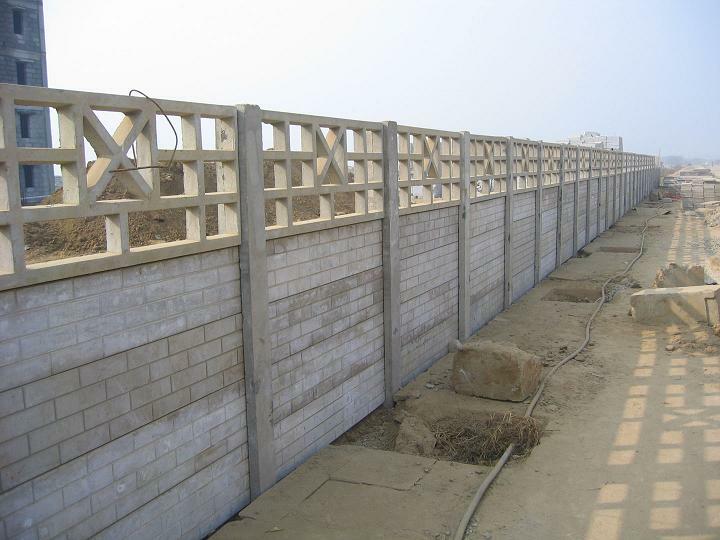 Aug-Dec 2010:We undertook a turnkey project to construct 600 m long boundary wall of 8 ft above ground height and 40 mm slab thickness for Vishram Vridh Ashram (SHEOWS) at their site located in Garh Mukteshwar (Garh Ganga), U.P. 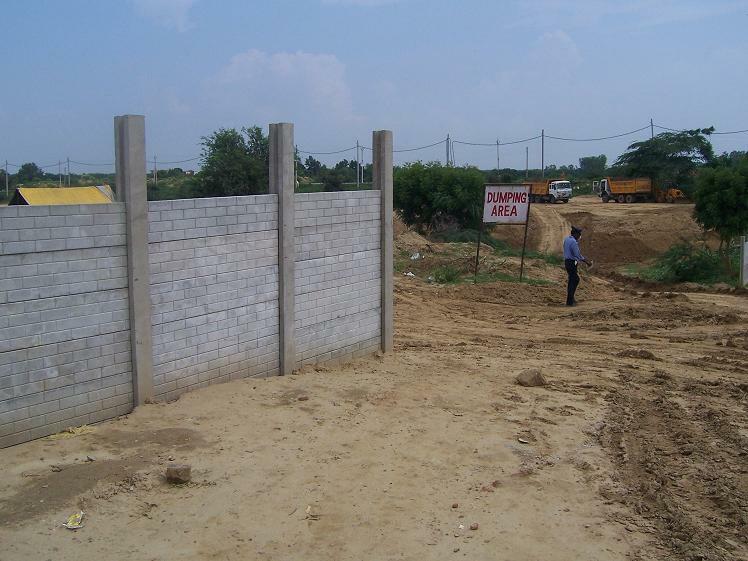 Below are some pictures of the site under construction. 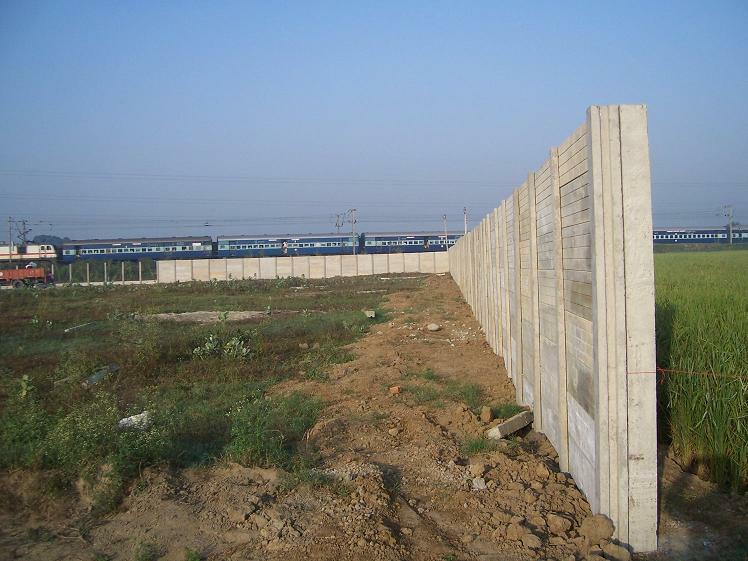 June-July 2010:Supplied precast components for construction of 600 m long boundary wall of 8 ft above ground height and 40 mm slab thickness for Canton Buildwell Pvt Ltd at their SEZ site located in Gwal Phari, Gurgaon. 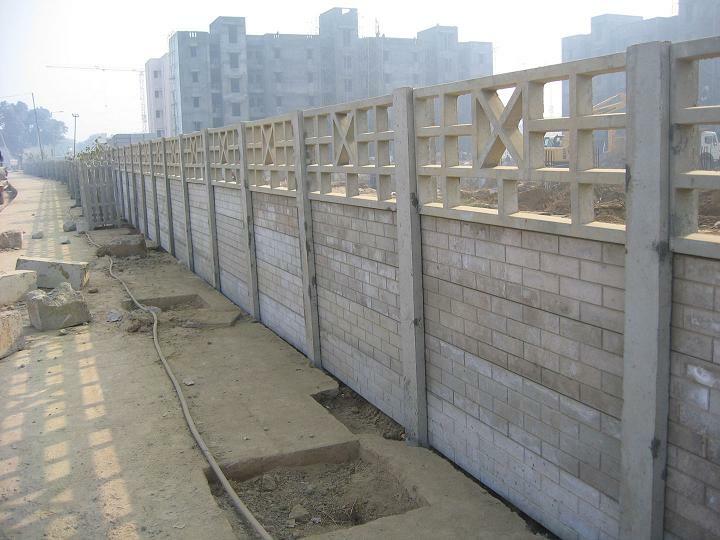 Below are some pictures of site under construction.